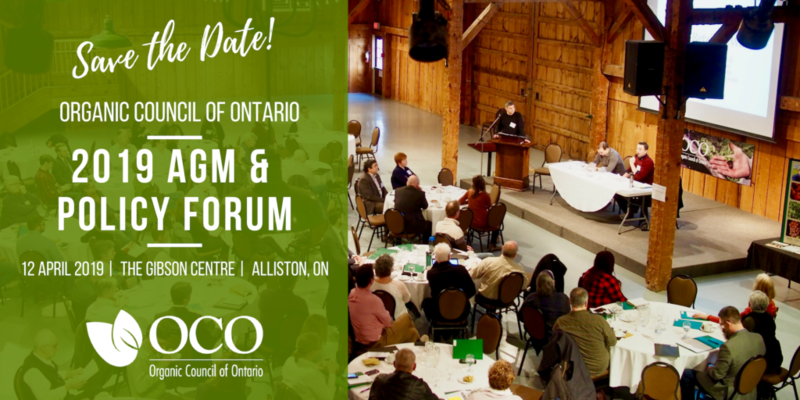 Join the Organic Council of Ontario for our 2019 AGM & Policy Forum on April 12th at the Gibson Centre in Alliston, Ontario. 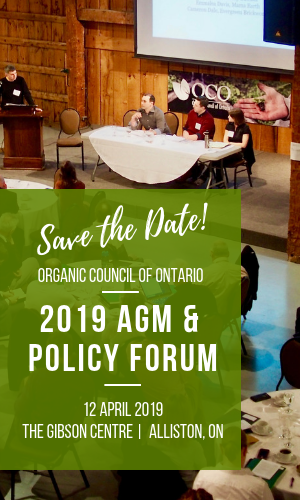 We invite OCO members and the general public to participate in a day of informative presentations, discussions, and a delicious local organic tasting experience! This agenda is a draft and subject to change. Read the panel descriptions and speaker biographies here. 9:05 AM - Organic Standards: Are we getting them right? 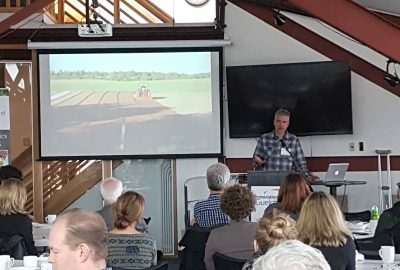 Organic Seeds in Canada: Solutions for Plant Breeders and Farmers? Plant Breeders Right Act and consultations: What does this mean for organic? 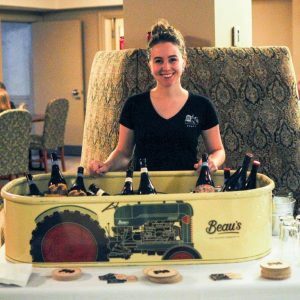 Following the Policy Forum, join us for a series of seasonal taste sensations, featuring local beverage and food businesses! The whole day is open to the public, but we especially encourage you to invite your organic-minded friends and guests to attend the Local Organic Reception. We still have room for a few more vendors. If you are interested in becoming a vendor, please contact amy@organioccouncil.ca. 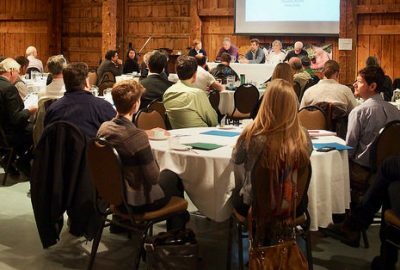 The Policy Forum, AGM and Organic Reception will all take place at The Gibson Centre for Community, Arts and Culture in Alliston, Ontario. Directions are available on their website here. Ask for the OCO AGM rates to receive a discounted price on your accommodations! 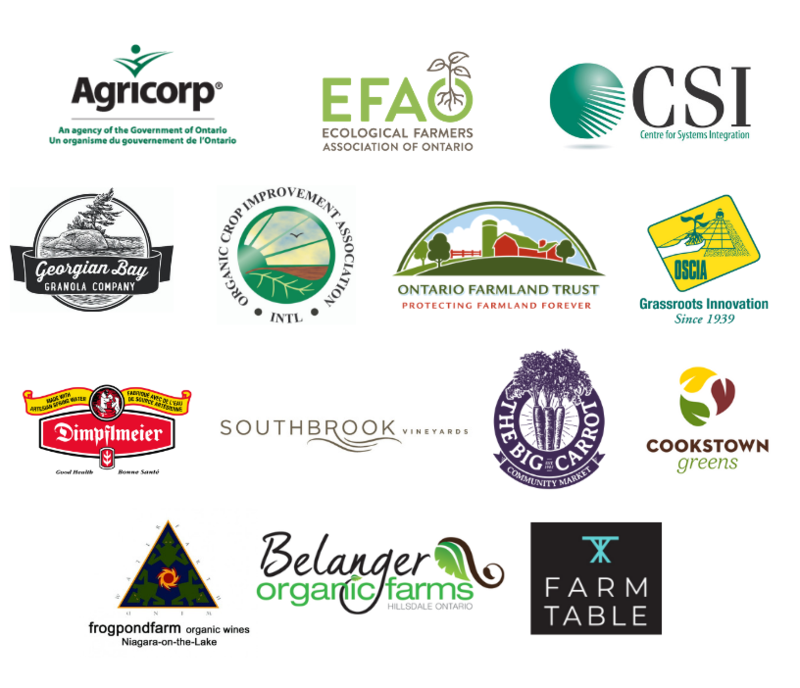 The Organic Council of Ontario would like to thank our Sponsors and Donors for their support. The meals at the AGM will feature organic ingredients from our members. 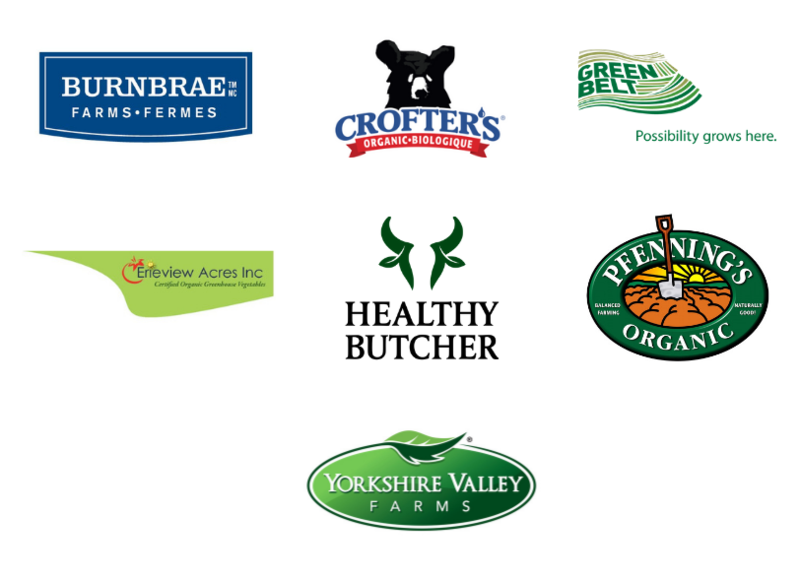 Remember, all certified organic operators are now automatically members! Come out and make your vote count. 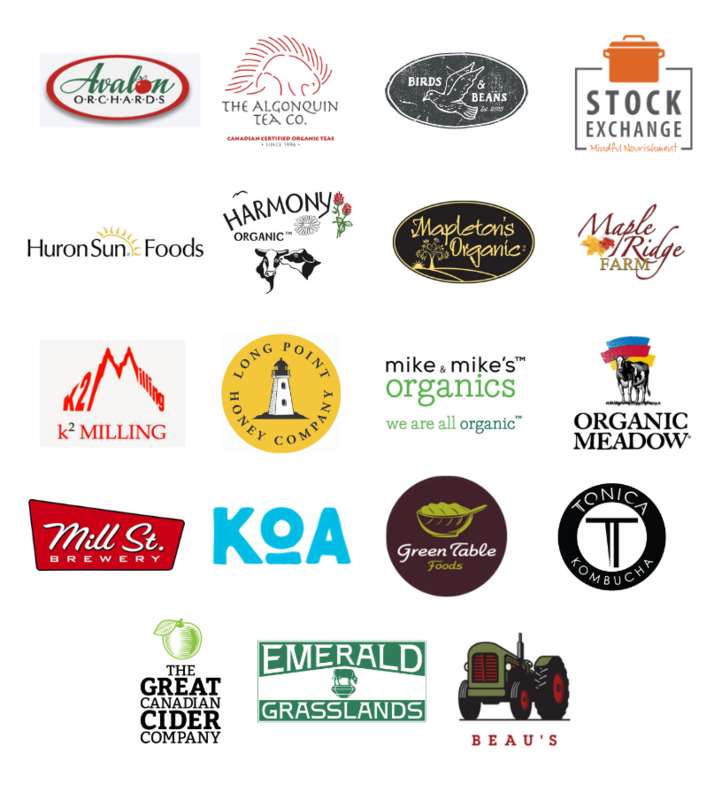 If you are not a certified organic operator, but you are a part of the organic value chain, an individual organic supporter, or an association, you can still have a vote at our AGM as a Supporting Member of OCO. Be sure to renew or join before March 15th, and feel free to contact Dora if you want to check your membership status. The whole event is also open to the public, but voting at the AGM is reserved for members only. Learn more and vote now! Can't Attend? Vote By Proxy!